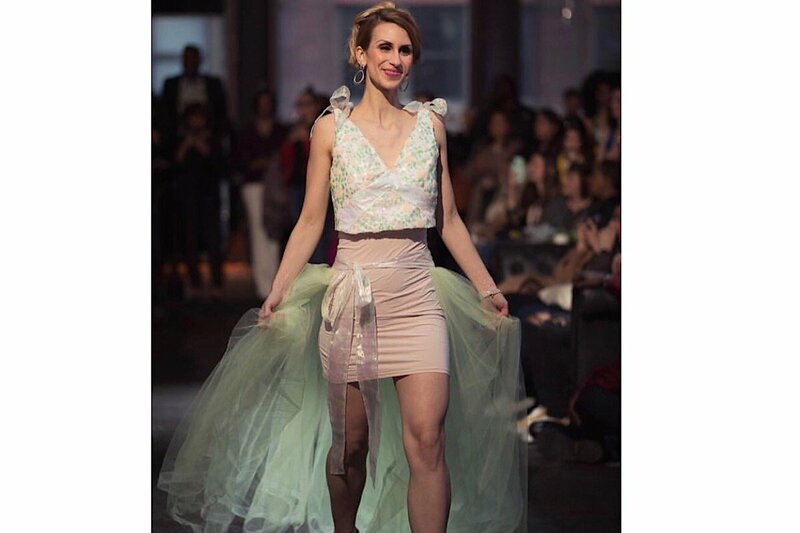 Last week I enjoyed a 5-day fashion frenzy in our very own backyard. 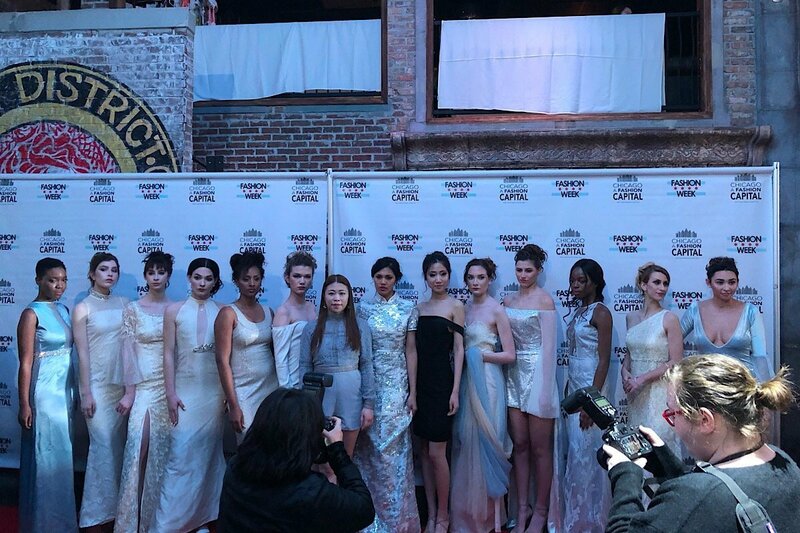 Chicago Fashion week 2019 was one of the best experiences I have ever had and I am still on a creative high just thinking about it. 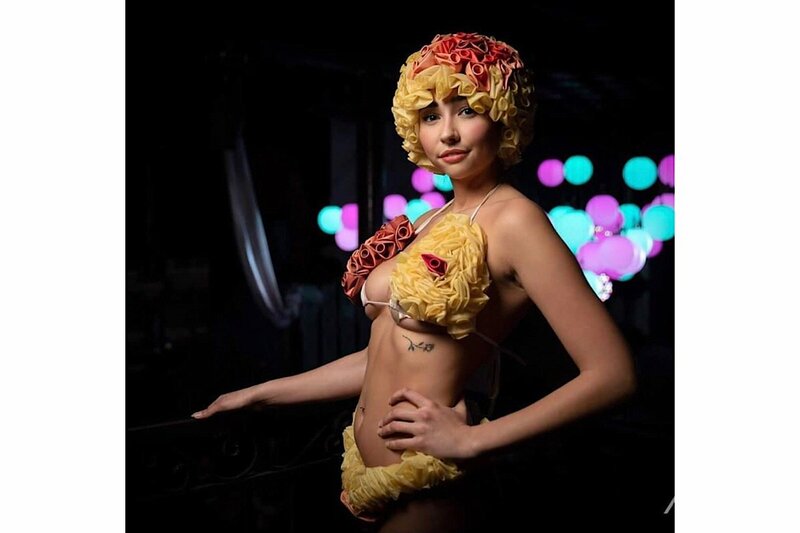 New York Fashion Week, Paris Fashion Week, but Chicago Fashion Week? Yes, this is happening in our city and more people need to know about it. 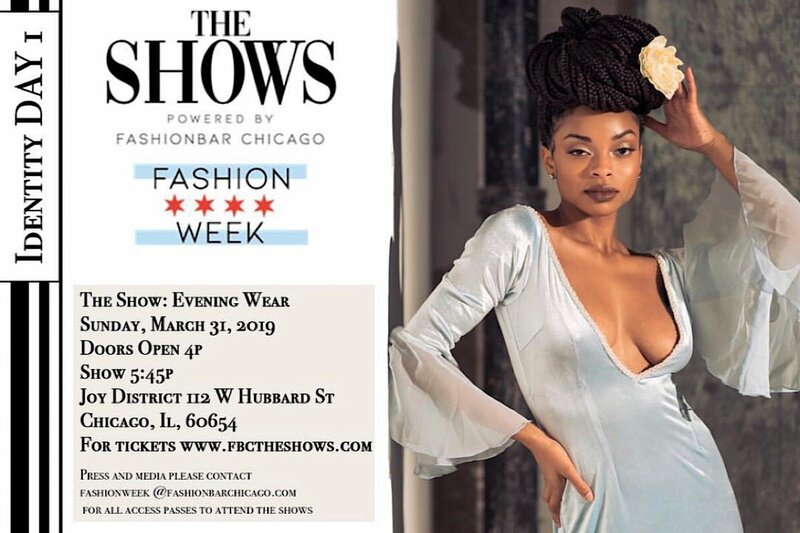 Chicago Fashion week is powered by an organization called FashionBar Chicago. They vow to make Chicago a fashion capital. There mission statement states, “FashionBar Chicago seeks to build Chicago into the fashion capital of the Midwest by advancing emerging and established talent in order to elevate the Chicago fashion industry to a national platform and bridging Los Angeles to New York City.” Founded by Tony Long, with Zsa Zsa Quach over marketing and model management and many more prominent fashion icons in Chicago, they truly have put so much work behind these events to make sure that fashionistas like me are inspired. The opening show was held at Joy District Chicago. I entered the building and there was a security guard waiting at the elevator and he instructed me to take it to the 2nd floor. I got off the elevator and was greeted by two edgy dressed girls that checked me in and gave me my press badge. The room was filled with fashionably dressed people and the runway was right in the middle of the floor. Blue and purple lighting flooded the room and I patiently waited in the press and media section for the show to start. I will say that my outfit got me a seat in the front row! I was so happy to be pulled away to take a seat so I would be able to see everything! The show started with Tony Long grabbing the mic to express his excitement for the opening show and the shows that were going to be happening for the rest of the week. The theme of the opening show was evening wear and the first designer was Jane X. 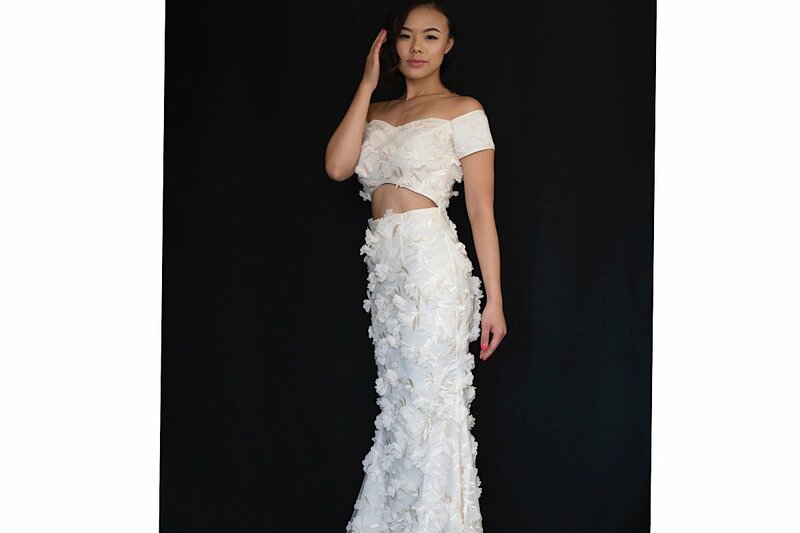 The Chicago designer founded her company in 2017. 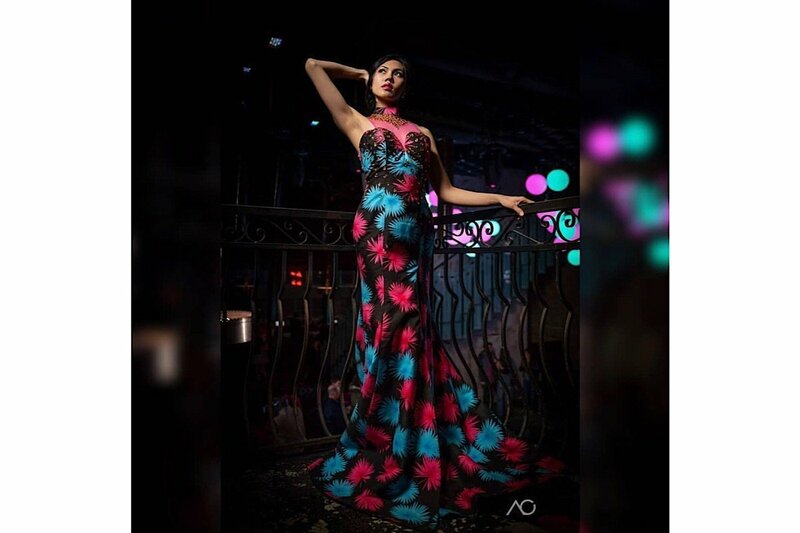 Her whimsical designs resembled fairy like features, which is her inspiration for her entire collection. Her pieces were elegant and classic. 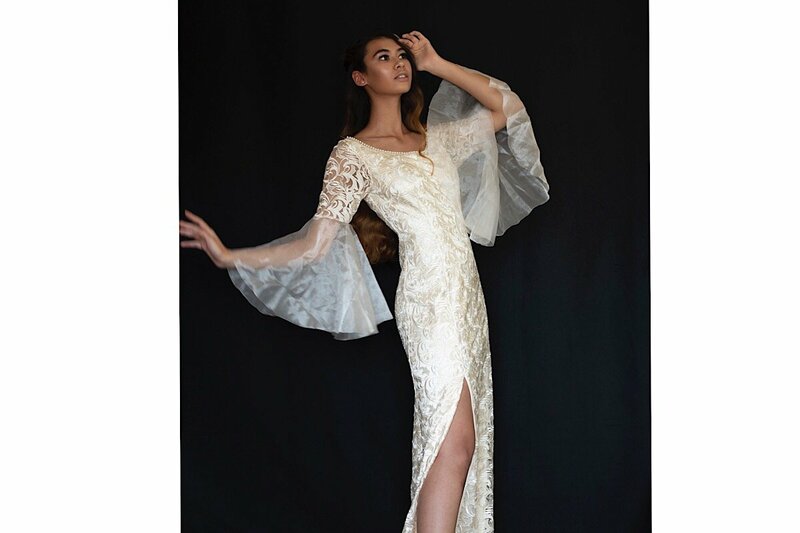 The second designer, Anastasia Chatzka , is also a Chicago based designer and sewing instructor. 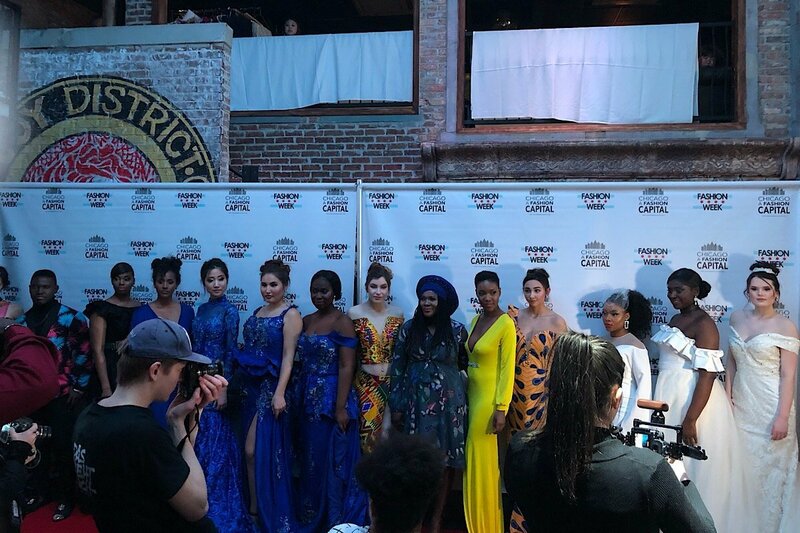 She changed up the mood with her colorful and vibrant pieces.Her designs brought color to the runway and each model was able to embody the mood of their look through their walk. The final designer, Accousau, is also a Chicago based designer and she truly executed a cross between African and American culture. African prints flooded the runway and I never knew how those bold and beautiful prints could be transformed into elegant pieces of art. Each designer had something different to bring to the table and I truly enjoyed each one. 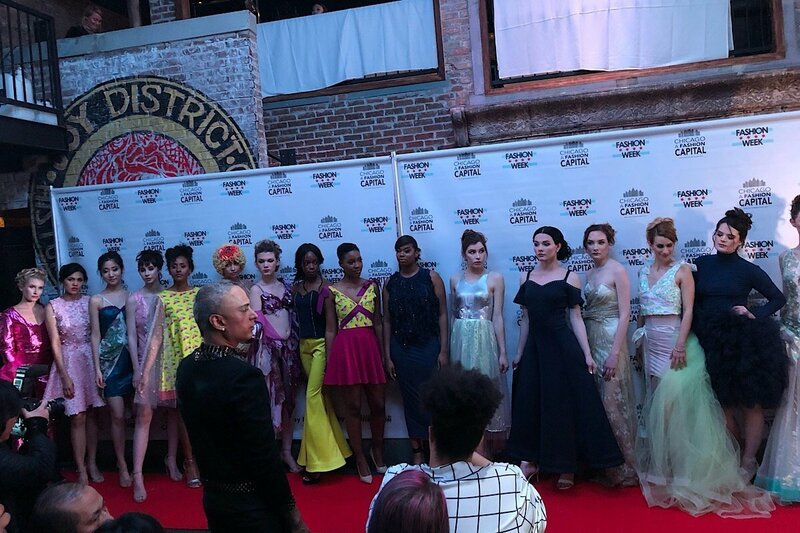 As the show ended I was even more excited to know that this was only day one of this amazing 5-day long fashion festival!